Apparently, Tamil Eswari Rao is playing the love interest of Rajinikanth in Kaala and not Huma Qureshi. As well know, Huma Qureshi is part of Rajinikanth’s upcoming film titled Kaala. Touted to gangster war story, Kaala is being directed by Pa Ranjith who earlier made Kabali with Rajinikanth. The film was not a great success but still had something that convinced Rajinikanth to do another one with the director. Kaala is set in the backdrop of Mumbai and has many stars from Bollywood playing important roles. Bollywood actor Nana Patekar is playing a politician in the film and will tussle it out with Rajinikanth. The film also features Marathi actress Anjali Patil and she will be playing an important role. Reports are emerging that the diva Huma Qureshi will not play the love interest of Rajinikanth in Kaala. Apparently, Tamil actor Eswari Rao will play the role opposite Rajinikanth in this film, as per reports. The makers have been tight lipped regarding the roles of all the actors in Kaala except for Rajinikanth’s role. Major portions of Kaala were shot in Mumbai since the story is set in the backdrop of this city. The film was simultaneously in Hindi and Tamil. And according to recent reports the film will not be dubbed into Hindi and will be released as a straight film. 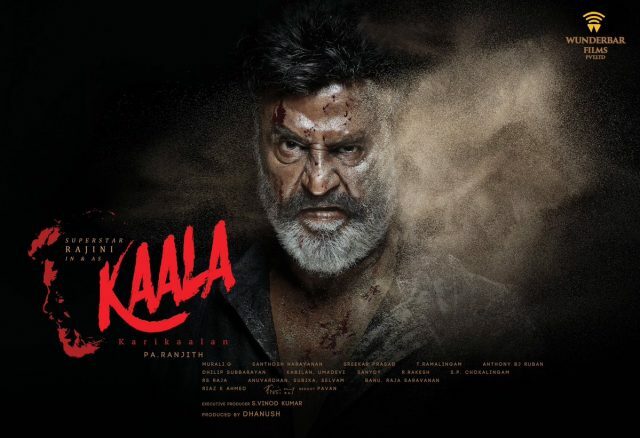 Rajinikanth has been doing the talkie part for Hindi version of Kaala as well during the shooting, unlike Kabali. Beside Nana Patekar and Huma Qureshi, Kaala also features Pankaj Tripathi and Samuthirakani in key roles. Pankaj Tripathi will be seen playing a cop in Kaala.